In a climate where laws on fake news is debated, we have here a fine example of what fake news is. 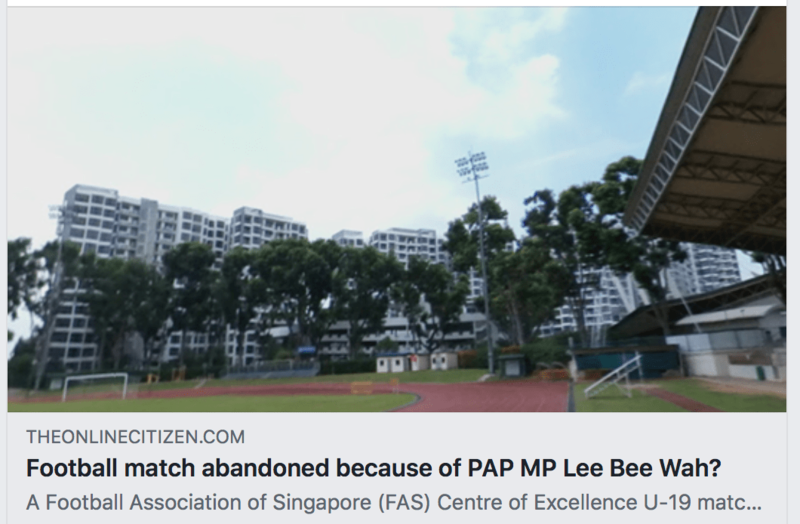 The article tried to pass of as true an allegation that Lee Bee Wah had called off a football match because of complaints from one resident at a nearby condo. The article even added these words to make the allegation true and credible. 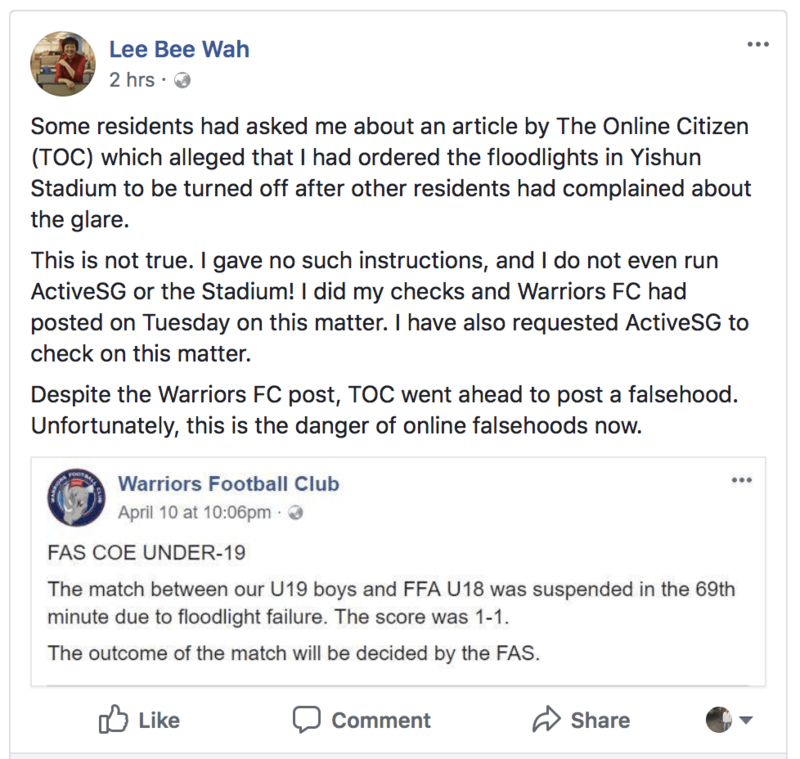 Says TheOnlineCitizen: “Based on information which has been corroborated, the Centre Manager for the Yishun Stadium, where the match was played, turned the lights off at 9pm after allegedly receiving instructions by the MP as a result of complaints from residents from nearby condominium The Estuary. It is not known how many complaints were received by residents of the Estuary, which was completed in 2013. Warriors Football Club had clarified that the match was called off due to a Lightning Warning System. That’s it. Just like how training is cancelled during inclement weather in the army. Even if TOC comes out to clarify now, it is too late. All over the internet, people have been attacking Lee Bee Wah and it is unlikely these very people would post up the clarification and retract their statements. We must thank TheOnlineCitizen for giving us yet another reason to have good laws in place to keep fake news under control.